I help ambitious career professionals and business owners to become more professionally and personally successful and happy, by helping them achieve the successful, enjoyable work life they want, without the stress, self-doubt and overwhelm they don’t. 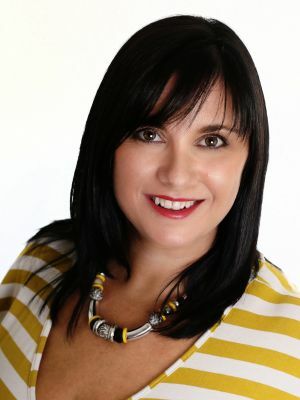 It’s hard to pin down what I do for you in one title: I’m a stress management coach, a career coach and a business coach….generally all rolled into one. I coach ambitious business owners and career professionals – people whose work and achieving things with their work matters to them – to reduce stress and beat the feeling of being out of control that’s eating them, so they can get back to peak performance and achieve the kind of success, happiness and work life balance they are capable of and deserve. I’m here to help you if you’re feeling out of control, worried, stressed or overwhelmed, or you’re feeling unfulfilled and unhappy despite your work success, struggling to actually enjoy life thanks to the pressures of keeping all the work balls up in the air. I’m here to help you make the changes needed so you achieve more of what you want and less of what you don’t. Even if you have no idea what those changes could be yet. So you feel both successful and happy. So instead of dreading it, you love getting up for work on a Monday morning. So you feel in control of your work and your life. I’m here to help you work out what kind of changes you could make, how to go about making them, and support you to develop the confidence, bravery, resilience and positivity to see the changes through. The changes you make that will bring you more personal success may be big or small. They may be quick or take a longer time to achieve. They might be really challenging or relatively simple, once you know what they are. Whether you know the direction you need to take already or not, my expertise lies in helping you work out what the success is that you want in your life and work, on your terms, not someone else’s, supporting you to create and action your plan to get there, and making sure you develop the personal qualities, abilities and skills needed to actually achieve that success – motivation, self-belief, resilience, confidence, effective personal performance and bucket loads of clear, positive thinking . So when you work with me, we work both on making decisions and developing and actioning plans that are practical, logical and strategic, and alongside that we work on you – your worries, your stress, your confidence, your mindset and your motivation – so that nothing gets in the way of achieving that balance between success and happiness that you really want and deserve. Your idea of what success means to you is starting to change, and that’s leaving you feeling unsettled, anxious or stressed. You’ve already decided to make a change in your career, or even to start your own business, in order to find the balance between success and happiness you want, and need some help to make the transition. My coaching practice is based on the border of Leicestershire and Derbyshire and serves clients from around the Midlands and beyond, including Birmingham, Leicestershire, Nottinghamshire, Staffordshire and Derbyshire. We can work face to face, online or over the phone, daytime or evening – the choice is yours. I will be as flexible as I can, because I know you are busy! It’s time to stop wishing and start doing. I’m here to support and challenge you to make the changes that will bring you more success and less stress. I’m on 07947 623211 when you’re ready to take the first step, and have an informal, initial consultation to talk about where you are now and where you’d like to get to, and to find out more about how coaching works. No pressure, no sales, no time limit, no charge. © 2018 Life Atlas Coaching Ltd. All Rights Reserved.